We are very excited to announce the third meeting in our new initiative “Meet the Professional”. This is a program that aims to bring together HBA-USA members with professionals established in their field (from the Industry or Academia) in a more casual and informal context. The meeting has been scheduled for January 18th at 6:30pm and will be focused on “biomedical sciences”. Our guest will be Prof. Aristidis Veves, Rongxiang Xu Professor of Surgery, Harvard Medical School. The discussion will be moderated by an HBA representative (moderator). Participation is restricted to 7-8 HBA members, on first come first serve basis. Based on availability non-members may also participate. Please note that each participant will be responsible for their own check. Please contact administrator@hba-usa.org for any questions. I am mainly involved in ‘bench to bedside’ research. My main research field is diabetes and its complications, with the main emphasis on wound healing and cardiovascular disease. Approximately 90% of my effort is dedicated to research, 5% for teaching and an additional 5% for administrative and other relevant professional activities. Translational research is a major part of my research activities. My work mainly focuses on the interaction between neuropathy and microvascular disease in the development of diabetic foot ulceration and the subsequent wound healing impairment. This work has been supported by NIH funding and nonprofit organizations. I collaborate with investigators from various departments of my hospital, the Beth Israel Deaconess Medical Center, and investigators from other institutions, such as the Brigham and Women’s Hospital, to conduct additional translational research. I conduct investigator-initiated research studies that examine the effects of various FDA-approved medications on cardiovascular function. These studies, although funded by the industry, have been conceived, designed and executed by my unit and focus on possible new mechanisms through which these medications exert their beneficial effects. Finally, in the past I have served as the leading investigator and the leading author in industry sponsored multicenter trials that investigated the efficacy of new therapeutic interventions for the management of diabetic foot ulceration. I also run my own basic research laboratory that mainly explores the findings of the translational research and tries to identify mechanisms that are related to the observed results. 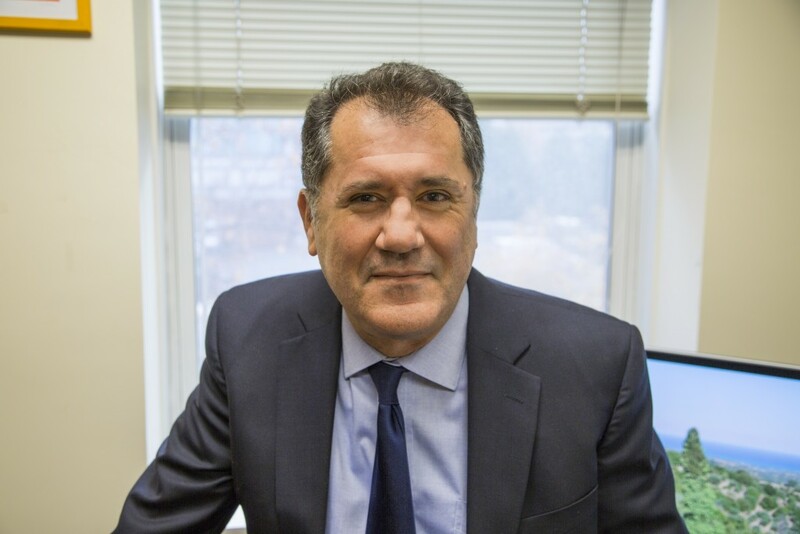 My laboratory works closely with Dr. Frank LoGerfo’s laboratory and other laboratories in the Beth Israel Deaconess Medical Center and is funded by NIH grants. I also collaborate with Dr. David Mooney’s laboratory at the Wyss Institute and Harvard Engineering School and Dr. Jonathan Garlick’s at Tufts Medical School; the main aim of our collaboration is the development of new wound-healing products. This collaboration has resulted in grant applications that are currently being funded by NIH. The results of my research have been published in prestigious medical journals, including Lancet, Diabetes and Circulation. My work, according to Google Scholar as of July 2016, has resulted in more than 14,000 citations an h index of 63 and i10-index of 137. My teaching responsibilities include participation in the training of the podiatry residents, supervision of the fellows and junior faculty in my lab and participation in mentorship committees of junior faculty members from other units. I am also involved in educational activities of the Center for Education of the Beth Israel Deaconess Medical Center, which provides guidance to candidates for NIH K series awards. Finally, I participated as series editor, book editor or co-editor and author in numerous textbooks. One of these textbooks (Diabetes and Cardiovascular Disease) has been already translated to the Italian language and another one (Diabetic Foot) to the Greek language. I am also the Director of the Rongxiang Xu, MD. Center for Regenerative Therapeutics since its establishment in December 2015. The Center was established after a generous donation from the National Rongxiang Xu Foundation and its mission is to further advance the treatment of patients throughout the world with chronic wounds, burns, and other conditions resulting from a failure of tissue repair and regeneration. As part of its mission, the Center provides resources for the conduction of collaborative bench-to-bedside research with investigators worldwide and the education of physicians and scientists internationally regarding the management of the previously mentioned conditions.